Our 2017 Legacy of Hope Luncheon Speaker is the Honorable Patrick J. Kennedy. After serving in the U.S. House of Representatives for 16 years, he founded The Kennedy Forum to unite the mental health community, and co-founded One Mind for Research, a leader in open science collaboration and research. At the Legacy of Hope Luncheon, Kennedy will reflect on his own challenges with mental health, as well as the organizations he has founded to advance the study and understanding of mental health. He will also share private and personal stories of the struggles that are associated with being part of a family with international fame. Seating is extremely limited. Reserve your seat now. 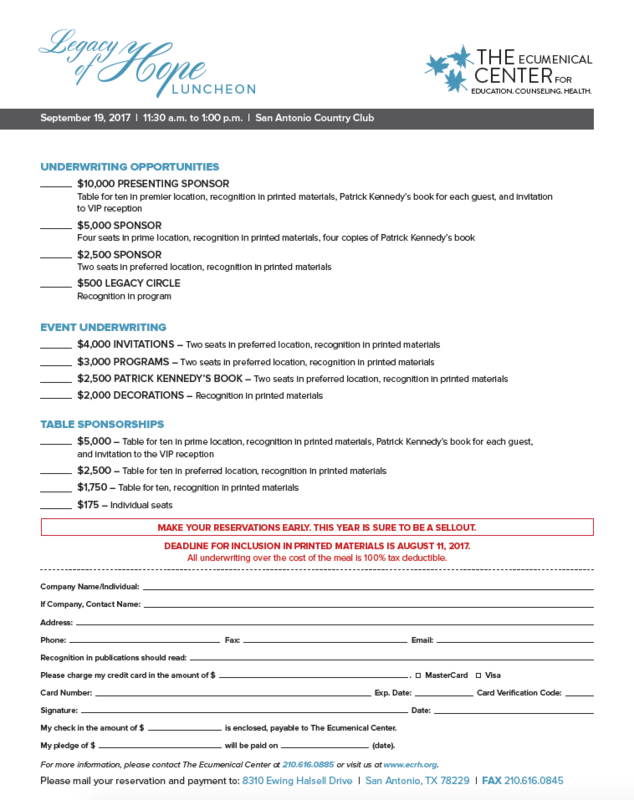 Share the post "Legacy of Hope Luncheon Featuring The Honorable Patrick J. Kennedy"